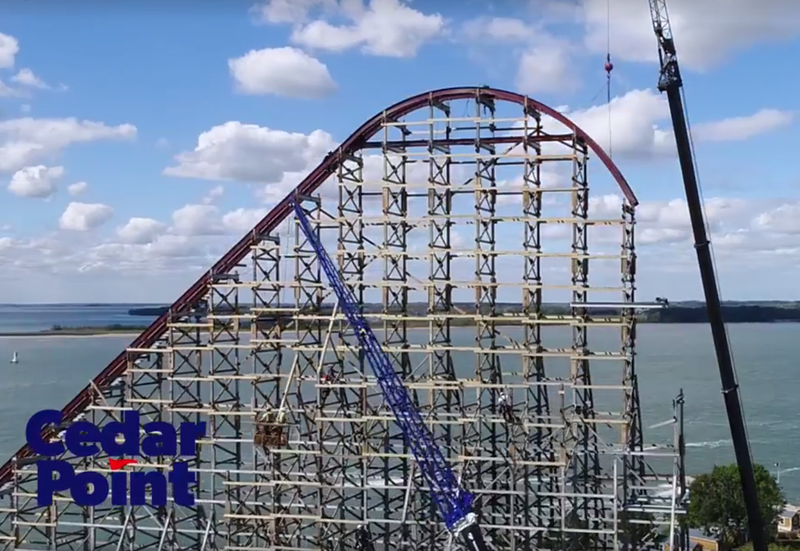 Cedar Point's New Steel Vengeance Hits the 205 Foot Mark! 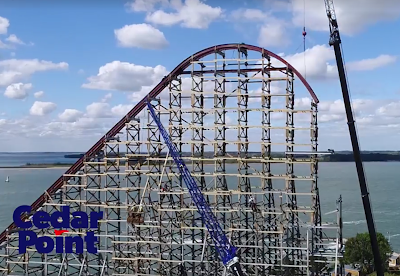 Fans of Cedar Point have been following the construction of Steel Vengeance for just about one year now, and today the hyper-hybrid coaster hit a major milestone when the highest pieces of track were installed, bringing it to its full 205 foot height. The event now lets us see just what the apex of the massive coaster looks like, even though we had virtual concept art to satisfy us previously. If you look closely at the image above you can see how quickly the track will continue to curve toward the ground until it hits a full 90 degrees going down the 200 foot first drop. To document the excitement of the day the park released this quick video, showing some fantastic drone footage of the highest pieces going into place. Earlier in the week Cedar Point published a new blog post giving readers an update on Steel Vengeance's progress - note that they reported at the time that the track was 95% complete with just the top of the lift hill and first drop to be installed. Obviously that percentage jumped up even higher today with the topping of the ride. Along with the construction update came some photos of Steel Vengeance's lower layout, which is mostly obscured by the thick forest of wooden structure. This insane overbanked turn takes place near the very end of the ride, after the coaster's 4th inversion. Rocky Mountain Construction designs are known for their wicked looking elements, and those found on Steel Vengeance look to push the boundaries even further. Make sure to stop by Cedar Point's blog for more photos and news. Busch Gardens Williamsburg Names 2018 Virtual Reality Simulator "Battle For Eire"
While Busch Gardens Williamsburg previously announced that their 2018 addition would be a new virtual reality simulator themed around Ireland, we didn't have an official name for the ride. 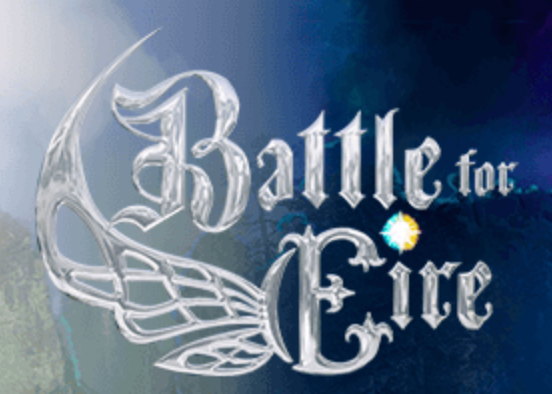 As of today we now do, and it is Battle For Eire - Action VR Ride. The theme park has also started to introduce fans to the world that the ride will take place in, and just what their main mission will be - battle to save the Magic of Ireland. Setting out to help the Otherworld, passengers will "team up with the last fairy guardian, Addie, and set out to rescue the sacred Heart of Eire. Hang on tight as you soar above the lush landscapes and mystifying powers of the Otherworld. Prepare to battle the dark forces. Will you be a hero? Take flight and fight the evil Dark Lord, Balor, to bring light to the darkness. Test your courage and send your spirit soaring on this one-of-a-kind, virtual reality thrill." A new series covering the development of Battle For Eire has also debuted today. The first post alone is filled with tons of details about the efforts that are going into the creation of the attraction. This will be nothing like the experience that Europe in the Air, the park's former simulator ride, gave riders. Now guests, let by Addie, will move fluidly with the virtual world around them, creating a seamless experience unlike any other. 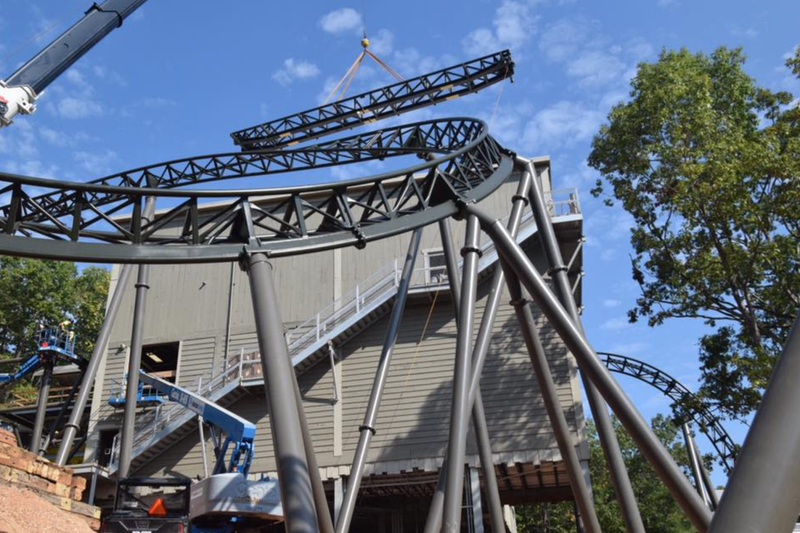 The park promises to continue to update us on the ride's progress as it is made! Toverland, located in the Netherlands, has released details on its massive 2018 expansion, a new themed area named Avalon. The land will be themed around the classic Celtic story of King Arthur, the wizard Merlin and their legendary magical sword Exalibur. The development, seen above in its entirety, will include a new restaurant along with a slow moving boat ride named Merlin's Quest. 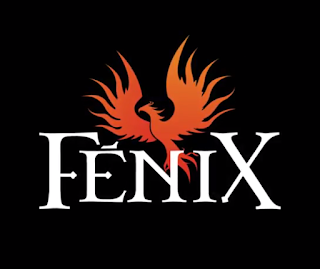 The most interesting addition to Avalon will be a custom designed B&M Wing coaster, named Fenix. 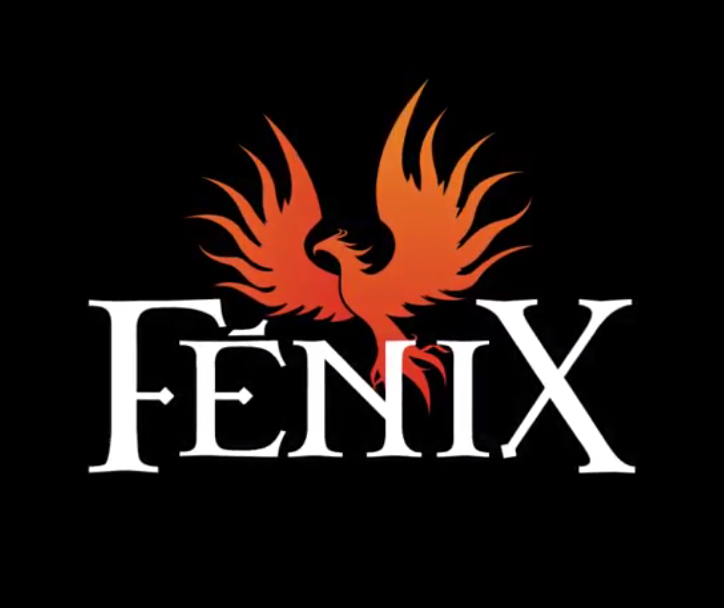 The ride's name parallels that of the famous phoenix, which rises from its own ashes to soar across the sky. 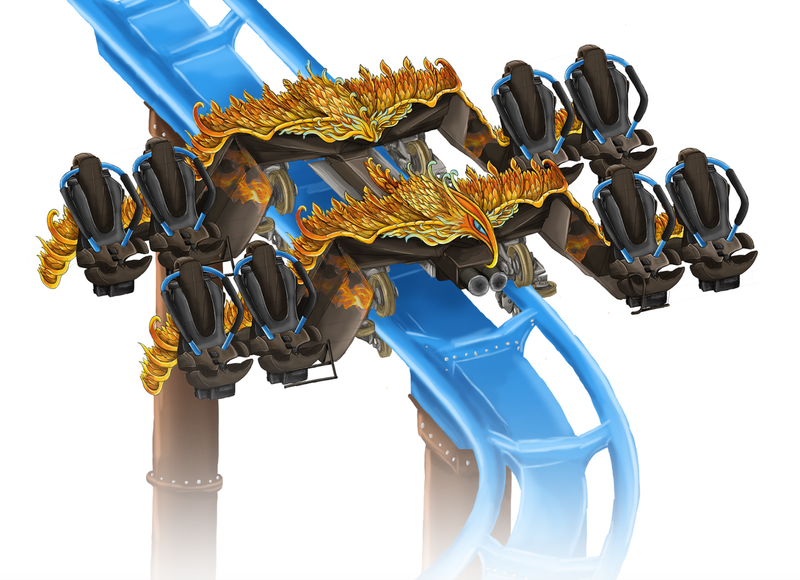 The coaster's trains, seen above, will feature phoenix detailing with bright oranges and reds in contract to the bright blue track and brown supports. The ride will start with a lift to 131 feet above the ground, where trains will turn 90 degrees to the right before slowly inverting and dropping down toward the ground at almost 60 miles per hour. The 2,667 foot long layout then features a speed bump over Avalon's central waterway, and into an Immelmann inversion. A helix follows that, with a large heartline roll crossing back over the water. A few final turns will point the train back to the station. 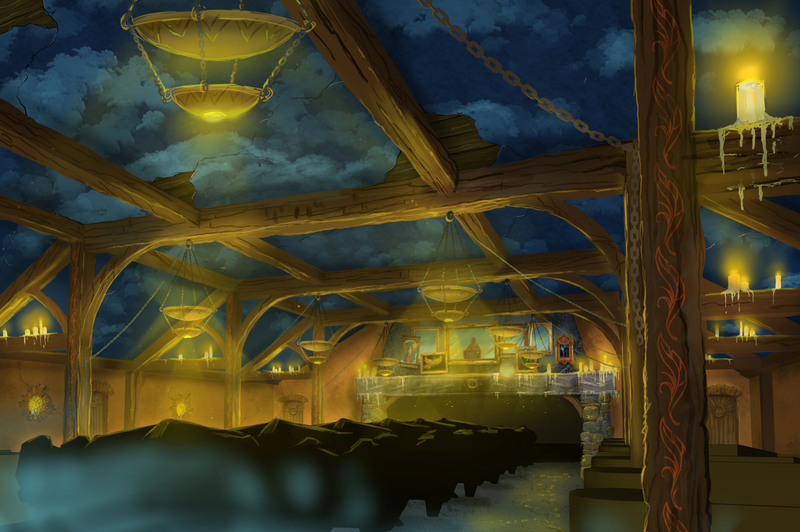 As with Toverland tradition, the entire Avalon land will be highly themed, along with both the boat ride and Fenix's queue and station - a drawing of that is seen here. Each of the coaster's two, six-row trains (24 riders in total) will depart from this mysterious location. For more on Toverland's Avalon expansion, stay tuned to the park's dedicated website, and check out the special Fenix teaser below. That was quick! 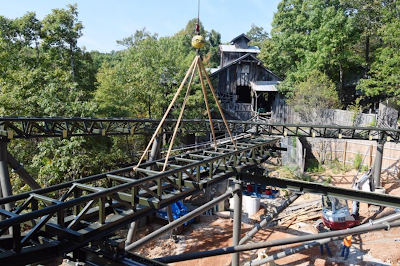 Just five or so weeks after the official announcement of Time Traveler at Silver Dollar City, the park has already finished all the track and supports for the record breaking spinning roller coaster. The park released photos of the event of placing the final piece of track, which looks to be a part of the transfer track for the coaster. 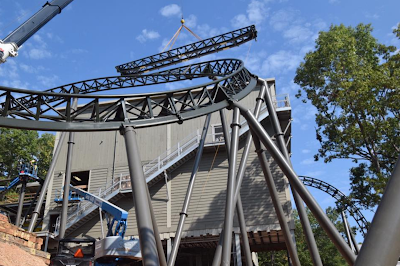 You can see it being carefully lifted into place in the photo up top, with the giant coaster station located under it. And here is a look at the final piece sitting in place, just outside the station and with the final stretch of track surrounding it. Time Traveler, designed by Mack Rides, will be the steepest, fastest and tallest complete circuit spinning roller coaster when it opens in 2018. Most of the ride's track is located within a deep valley in the park, so it is not easy to get photos of the completed track just yet. However, you can see some other recent photos over on MidwestInfoGuide via this link. 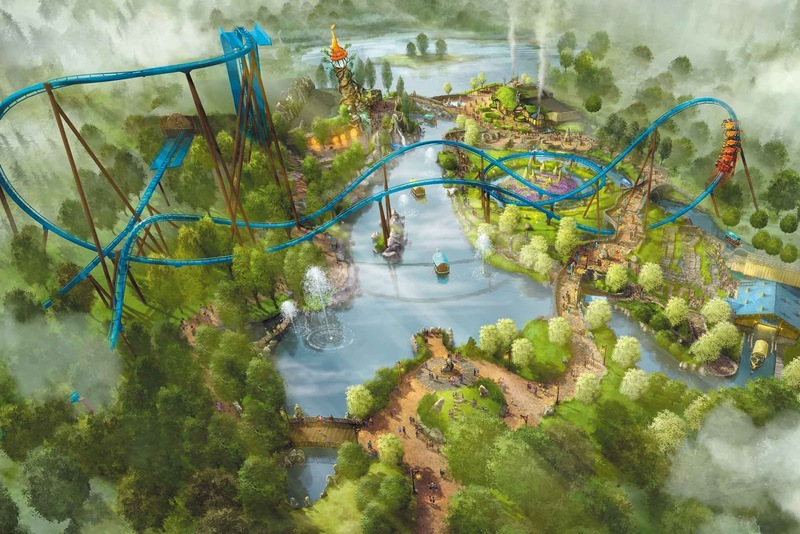 The experience will start with a vertical drop right out of the station, then the twisted layout will feature two separate launches, several inversions and other unique elements. One of the most anticipated new coaster openings of 2017 has taken place at Warner Bros. Movie World Australia, for the park's new DC Rivals Hypercoaster. 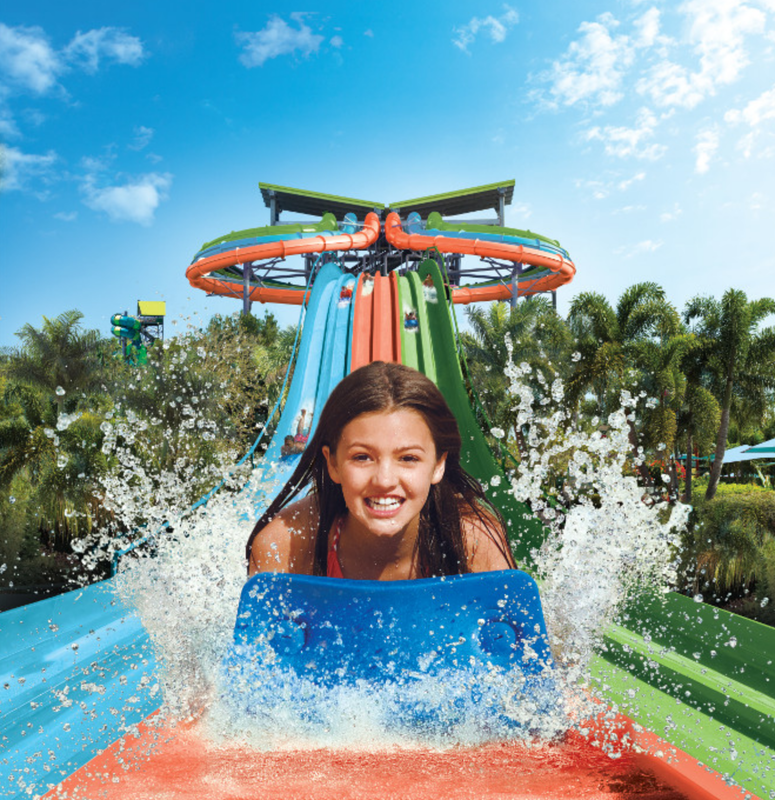 Though late in the season for North America and Europe, this time of year is the start of the summer season for Australia, and when big new ride openings take place. Designed by Mack Rides, the DC Rivals Hypercoaster features impressive statistics start to finish. The train features backward seating on the back row of the trains, which are available for an extra fee and come with a scheduled ride time. 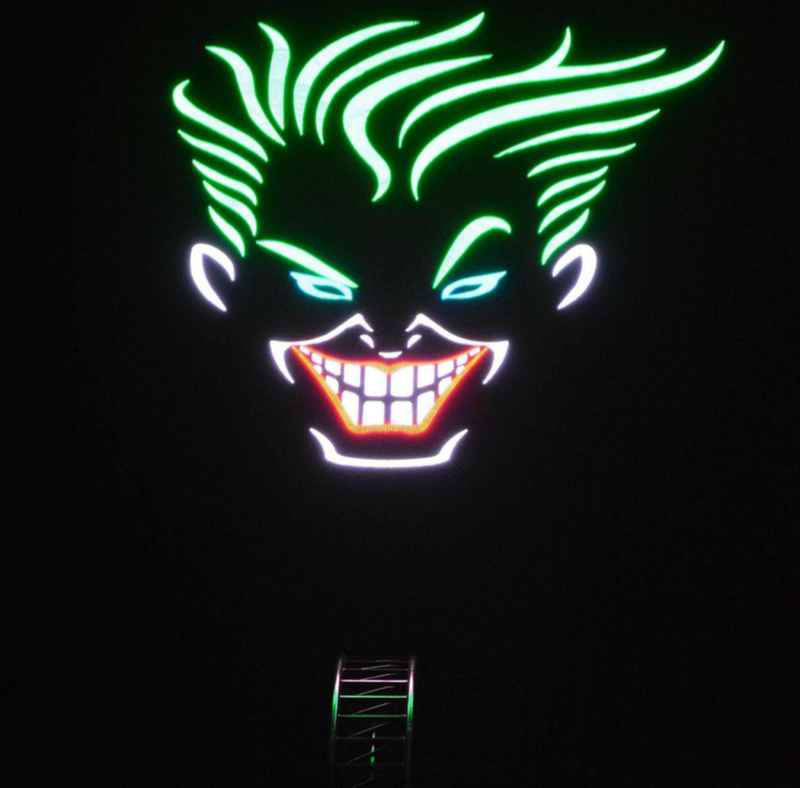 Standing 202 feet tall with bring pink/purple track and gray supports, the ride features the giant Joker image hanging over the crest of the lift hill, and as the above photo shows it lights up nicely in the dark. The coaster's layout includes an 85 degree plunging first drop that turns 90 degrees to the right, giant air-time hills, a non-inverting loop that stands 131 feet tall, a "high dive" turn, twisted pretzel element mid-ride, and bunny hills that finish the course. Along with the ride opening we also have a point of view ride on the DC Rivals Hypercoaster, click below if you want to take a spin! A variety of new attractions and experiences have been announced for SeaWorld San Antonio's 2018 season, giving visitors several ways to make new memories. Up first is the addition of Electric Ocean, an all-new nighttime experience that will run during the summer months once the sun goes down. The event opened this year at SeaWorld San Antonio's sister parks and was well received by park guests. The event will include nightly fireworks displays, party zones with popular dance music playing and plenty of other lively fun. Running from June 15th through August 12th, Electric Ocean will also include current park favorites such as HydroPower Xtreme FX, Shamu's Celebration: Light Up the Night and an encore of Sea Lions Tonite. Also new next year will be the debut of the Sesame Street Parade. The park will expand the Sesame Street brand outside of the existing Sesame Street Bay of Play and onto the park's "pathways with the addition of a neighborhood street party parade." The parade will consist of ten different floats along with everyone's favorite Sesame Street characters. The attraction will have three different stops along the route where performances will take place when the parade debuts in the Spring of 2018. 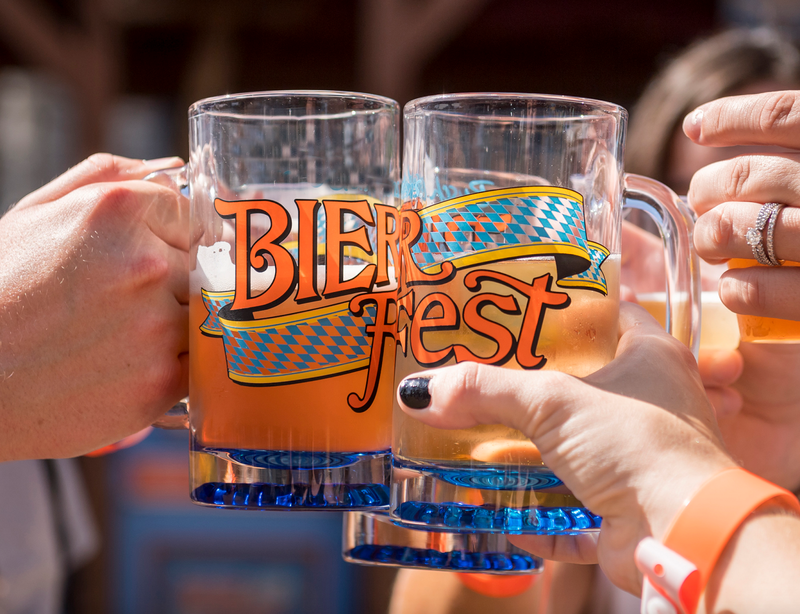 Plenty of special events will also fill out the 2018 season, including the new Bier Fest, featuring more than "100 beers from around the globe, including a variety of local favorites. The Bavarian celebration will also feature authentic German food and festive music." Watch for the new Bier Fest to start on September 1st, 2018. Wild Days will also return in the Spring, featuring exciting animal shows and a visit from Jungle Jack Hanna, the Seven Seas Food & Wine Festival will return in April in a new location within the park, Howl-O-Scream will have a scary new stage show in the fall, along with family-friendly fun at Spooktacular, and Christmas Celebration will round out the year with more than 11 million twinkling lights. At the separately gated Aquatica San Antonio, the Taumata Racer water slide will open as well. Starting from a height of 55 feet above the park, riders will zoom downhill head first on foam bodysurfing mats. The six lanes will feature sliders that race through a "swooping 180-degree turn" before making a race for the finish down two hills. Each of the six slides will feature a path that is 375 feet long that will be covered in only 10 seconds. Sesame Place has announced their new ride for 2018, a family-friendly wooden roller coaster named Oscar's Wacky Taxi. 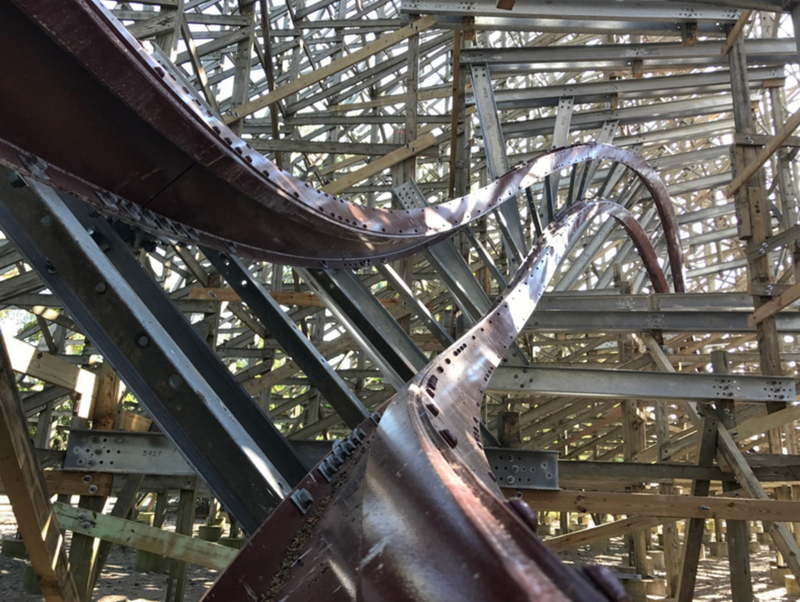 The custom designed ride will be created by The Gravity Group, which has already created a handful of similar medium-sized wood coasters that have all been a success. The coaster will utilize steel supports, painted green in concept art, and a yellow wooden track - matching the theme and colors of both Oscar and his taxi. The train will be bright yellow and themed as a taxi cab, taxing passengers on a journey filled with "exciting twists, turns, and plenty of airtime hills." The coaster starts with a lift hill followed by a 180 degree turn into a first drop of 40 feet. The 1,200 feet of coaster track features a large amount of air-time hills, along with a large covered tunnel section on the far turnaround. The stretch back to the station includes what looks like a gentle double-down, along with a curved dip under the ride's lift hill. Riders need to be only 40 inches tall if they're accompanied by a supervising companion at least 46 inches tall and 14 years of age. "Oscar's Wacky Taxi will bring a whole new level of excitement to Sesame Place in 2018," said Bob Caruso, park president. 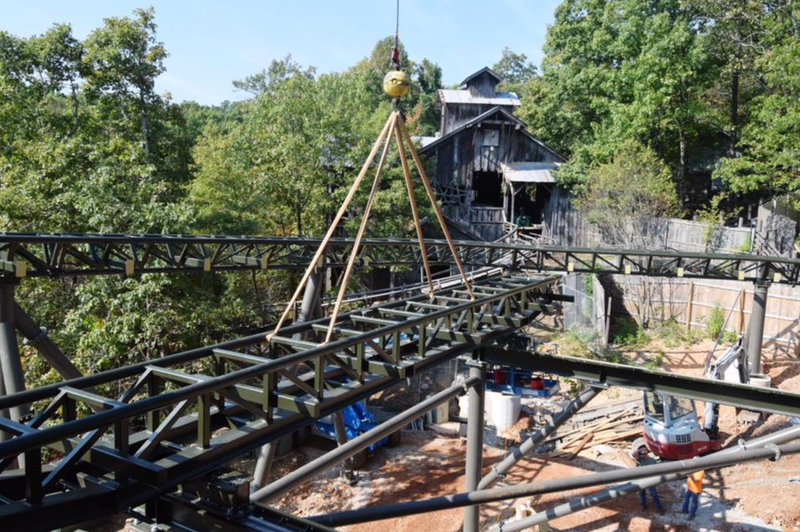 "We're constantly looking for ways to enhance our guest experience, and our first wooden roller coaster is an exciting and thrilling addition to the park." The announcement did not include any official news on the ride's location, however the park did confirm on social media that the coaster will be built where the park's VIP parking currently is, and that no attractions will be removed in order to build it. 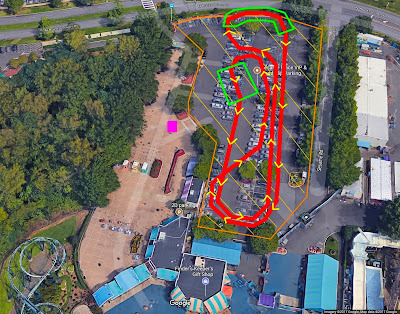 That's where we suggested the ride might go in a previous post, expanding the overall size of the park. I updated an image from that post to include a general idea of the coaster's layout - I'm sure it is not perfect though. The station is in green, and the lift will head toward the park (yellow arrows are the direction of travel). The far turn with a tunnel (in green) will be out toward the street adjacent to the park. It looks like the station will be set back from the park, so I would expect the queue to wind under the ride with an entrance somewhere toward the bottom of this image. 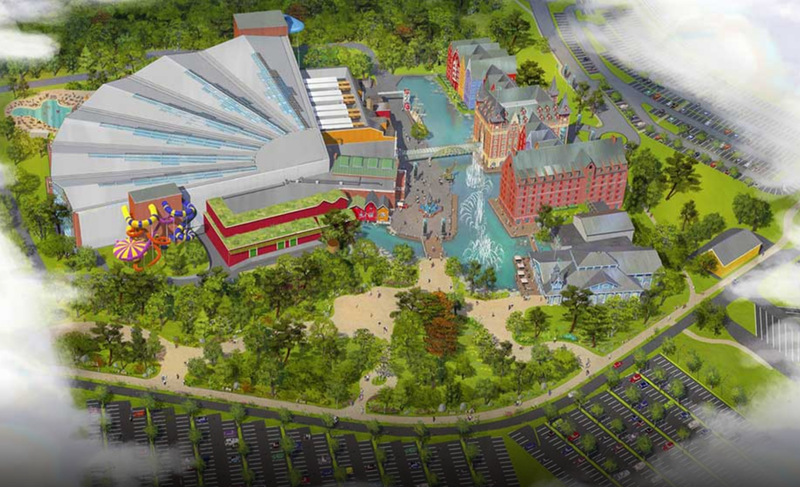 This is a pretty exciting and large project for Sesame Place, I'm looking forward to seeing the ride constructed this winter! 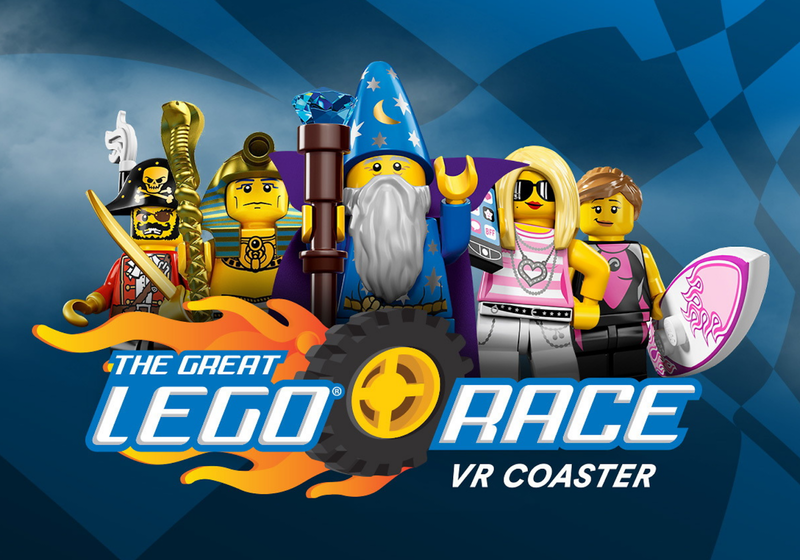 It was announced today that three Legoland Theme Parks will soon debut the first virtual reality roller coaster meant for kids, named The Great Lego Race VR Coaster. 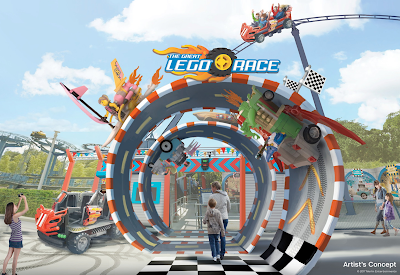 The ride will open first in late 2017 at Legoland Malaysia, then in 2018 at both Legoland Germany and Legoland Florida. The virtual reality adaptation will take place on the Project X roller coaster at each park. These rides are a larger Wild Mouse model designed by Mack Rides, featuring one bigger drop in addition to what is commonly found on the traditional Wild Mouse layout. The Great Lego Race coasters will feature a "high-octane experience that puts kids in the driver's seat and asks, "Are you brave enough to face, race and beat the best of the best in all of Lego world?" Riders will enter the attraction through the new entry portal that is depicted in concept above, amid the sounds of racing engines. The queue for the ride will feature the pit crews of each of the characters that visitors will race against, along with hands-on interactive elements designed to keep visitors' minds occupied while they wait. Once on board and situated with the virtual reality headsets, riders enter the main race in the virtual world. They will race alongside "brick-built contraptions driven by Trendsetter, Pharaoh, Surfer Girl, Wizard and Pirate Captain, including a rocket-powered surfboard and a stylish scooter fueled by espresso." A snip of some of the virtual world can be seen above, riders will move across and through different landscapes throughout their journey. "The Great Lego Race was inspired by the way kids play with Lego toys at home," said Candy Holland, senior creative director for Merlin Magic Making, which designs and develops attractions for Merlin sites around the world. 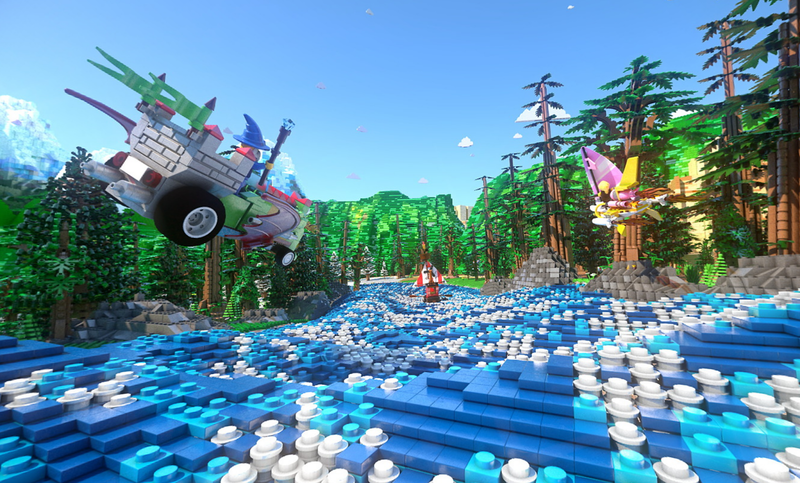 "It's a unique Lego adventure that lets kids enter an epic imaginary world made entirely from Lego bricks, featuring a host of different themes and fun Lego characters, all mixed up together." 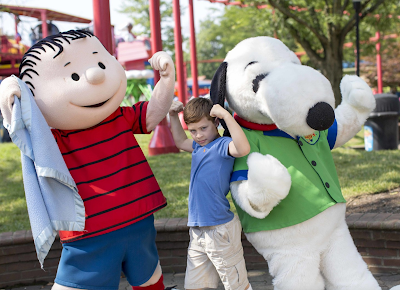 Fans of the Peanuts characters at the various Cedar Fair parks across the county can be rest assured that they have at least eight more seasons of everyone's favorite beagle to look forward to. And not only Snoopy, but all of his friends will be there as well, including Charlie Brown, Linus, Lucy, Schroeder, Pig-pen, Sally, Peppermint Patty, Marcie, Franklin and of course Woodstock. 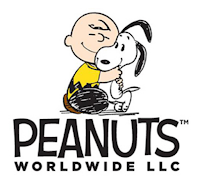 Cedar Fair has announced that it has reached an agreement with Peanuts Worldwide LLC, who is now a subsidiary of DHX Media, to extend their licensing agreement for all 11 Cedar Fair amusement and theme parks through the year 2025. 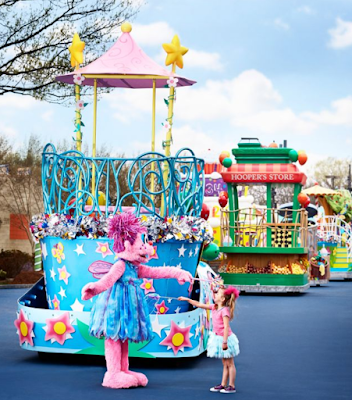 The agreement gives Cedar Fair exclusive rights to use the characters in North America in their "attractions, entertainment and sports, food and beverage, lodging and retail operations." Cedar Fair already utilizes the Peanuts characters in children's themed areas in nearly all of their parks. This includes at Camp Snoopy at Knott's Berry Farm, which was the first to open in 1983 and heavily renovated in 2014. It has also announced that Carowinds will be featuring a large expansion in 2018 featuring the Peanuts gang, when Camp Snoopy moves into the park. Cedar Fair also uses the characters in many dining events, along with each fall when The Great Pumpkin Fest is held at many parks for family-friendly daytime fun. "Cedar Fair has been a long-standing and cherished partner to Peanuts, dating back many years to when Camp Snoopy first opened at Knott's Berry Farm in 1983," said Craig Schulz, son of Charles M. Schulz and President and CEO of Charles M. Schulz Creative Associates. "On behalf of my entire family, I look forward to many more years of bringing the joy of my father's characters to the fans in Cedar Fair's parks." Granted some of them cost an awful lot more than others, but fans of Wildwater Kingdom, formerly operating across the water from where Geauga Lake was, might be interested in some items from the park that are currently up for sale. Raider of the Lost Parks is selling many items from Wildwater Kingdom on Facebook, including the well-known slide tower seen above. Known as the tallest slide complex in Ohio, the 7 slide tower is still standing at the park while it waits for a new owner. But it sounds like it doesn't have much longer to wait, as the website reports that the park's owners are taking bids for its demolition. 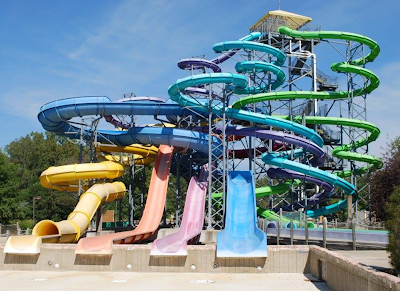 They also estimate that moving the slide would cost about 40% less than a new slide tower of the same size, but that it will need plenty of refurbishments as well. Sadly, I wouldn't be at all surprised to see this one get torn down in the coming months. 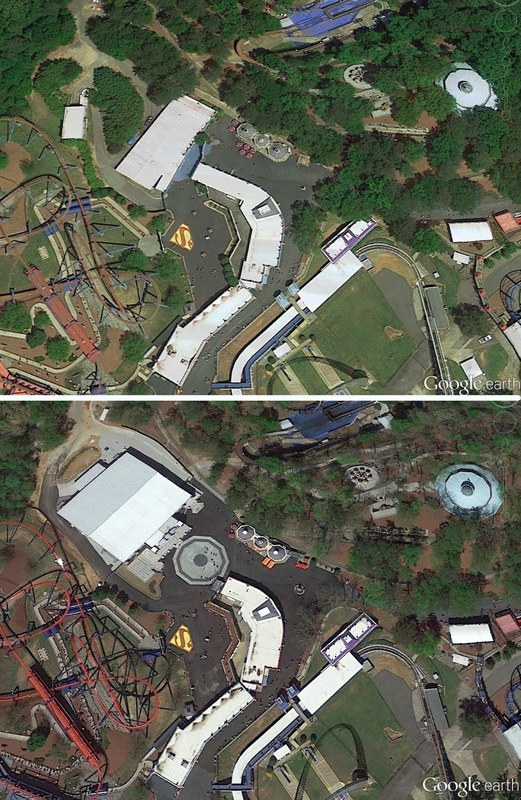 However, it does appear as though some attractions from Wildwater Kingdom have found new homes. 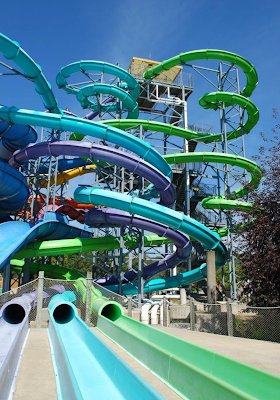 The large Tornado slide was reportedly sold to Camelbeach water park in Pennsylvania, and the family water fun house structure went to an unnamed park. Outside of the water slides and attractions, pretty much everything else of value at the park is also on sale. 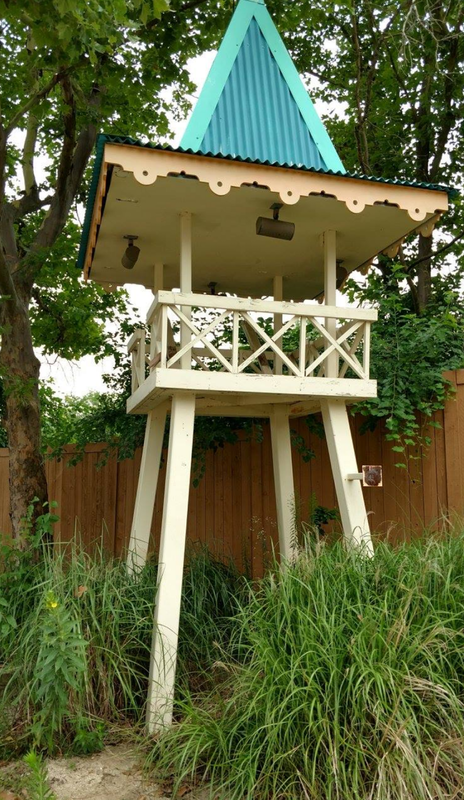 Above is a tree house relic that I think dates back to Sea World Ohio days. There are plenty of other items listed on the Facebook site, including fire doors, a cash safe, water filtration systems and pumps, a pavilion and more. 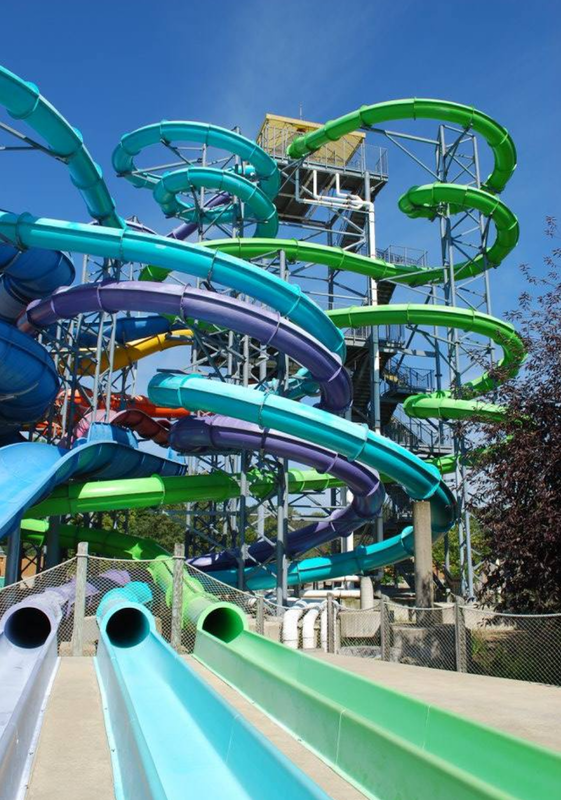 So just like many of the rides from Geauga Lake live on at other parks, it seems some of Wildwater Kingdom will as well. 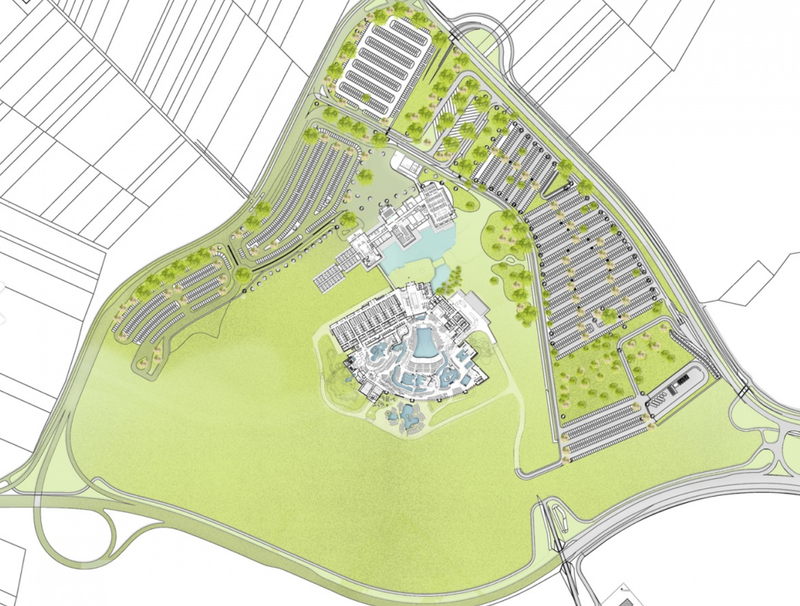 Europa Park has been planning a new water park resort for some time now, but has recently announced additional details on the massive expansion project. Named Rulantica Water World, the Nordic themed indoor water park will cover 350,000 square feet, with an additional 86,000 square foot outdoor play area. Right next to the indoor water park will be Krønasår, a brand new "natural history museum" hotel. The theme will be that of a museum celebrating the artifacts of the Adventure Club of Europe, tied to the adventures that can be found next door within Rulantica. The hotel will have 277 guest room and 27 suites and is linked to the development by a bridge over a lagoon. Here is a look at the development, with Rulantica Water World on the left and the Krønasår hotel on the right. Europa Park does an excellent job with theming their rides and attractions, and I've no doubt that this expansion will look beautiful when it is complete. This schematic shows off the total area that is going to be developed, which is set just a little off from the main Europa Park and the existing 5 hotels. It gives a bit of a look at the layout of the indoor water park as well. It is also easy to notice all the open space that is a part of the expansion, who knows what will eventually be added in those areas. 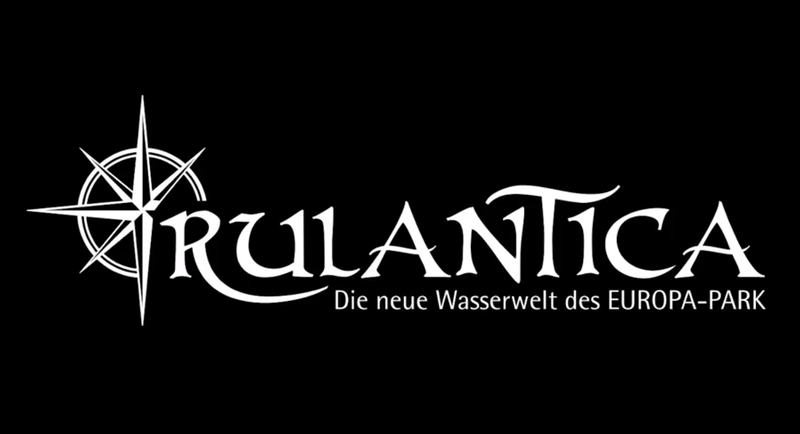 Giving more details of the additions that are planned, this infographic highlights different aspects of Rulantica. 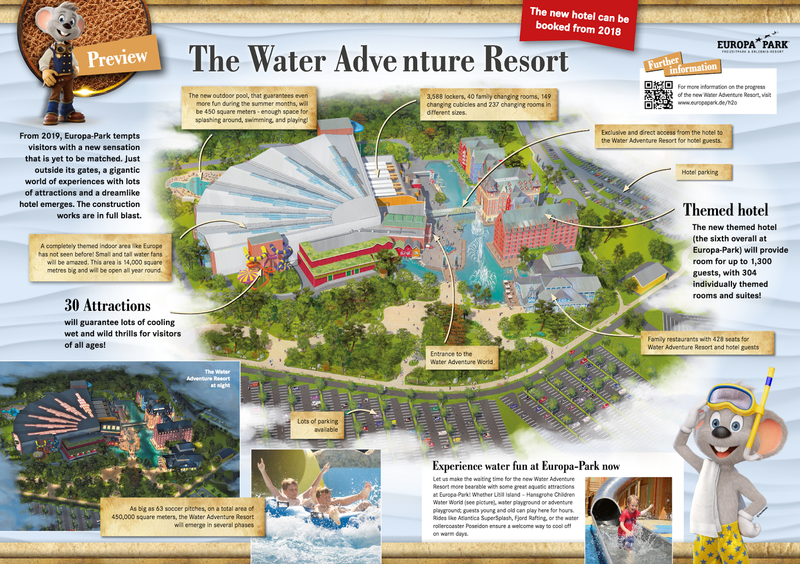 There will be 25 attractions within the water park area, with ones meant for all ages of visitors. There will be eight distinctly Nordic themed sections to the water park, including a kids area named Troll Valley. There will also be a "relaxing mystery river," the largest wave pool in the area, and a total of 17 water slides. 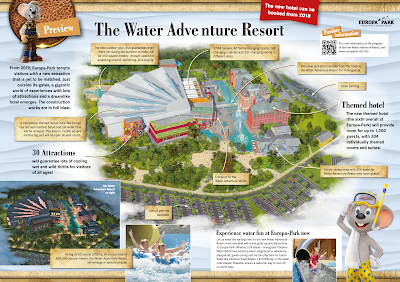 Of course along with all the attractions there will be several restaurants spread throughout the water park and the hotel, along with retail locations. 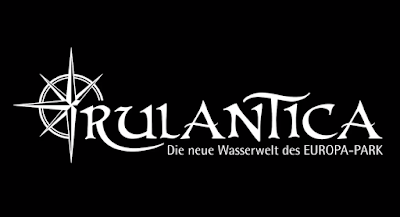 The park will offer shuttle service to Europa Park from the Rulantica area as well. Construction has already started on the project, so stay tuned for updates. 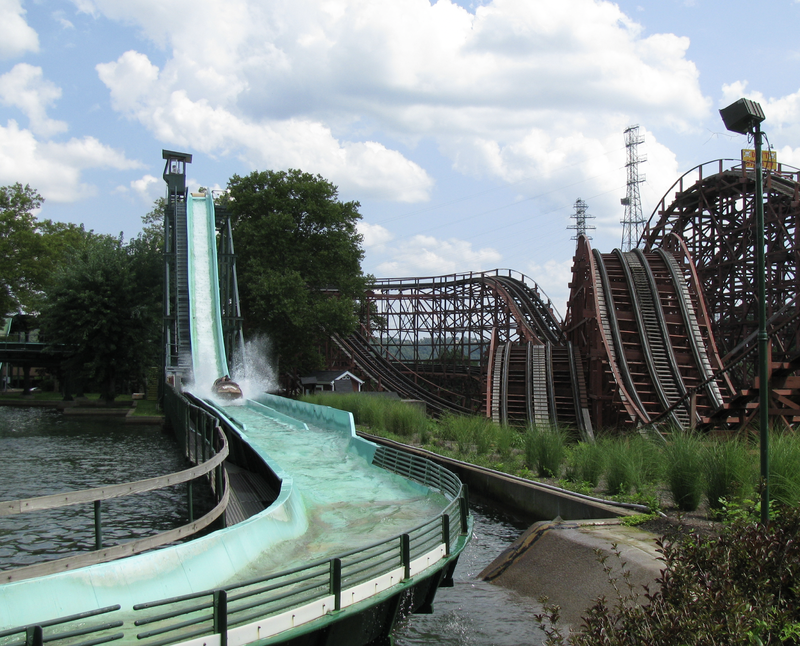 The Log Jammer, a classic log flume ride that has operated at Kennywood for 42 years, will be retired at the end of the upcoming weekend. The amusement park noted on their website that closing the ride was a "very hard decision," but it will allow them to plan for the future of the park. 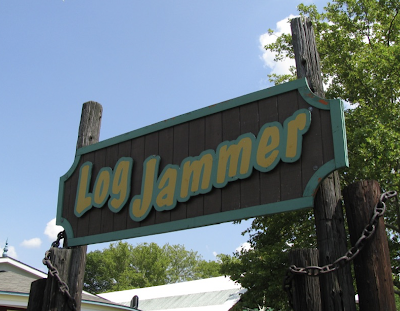 The final day of operation for Log Jammer will be this Sunday, the 17th. The Log Jammer was Kennywood's first addition to cost more than $1 million when it opened in 1975. It features logs that plummet down a final 53 foot drop into the splash area seen above. 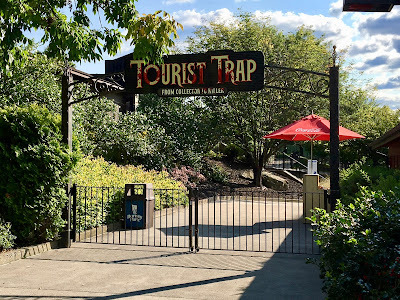 "It is a bittersweet decision, but one that in time will create some exciting opportunities for our guests," says Kennywood General Manager Jerome Gibas. 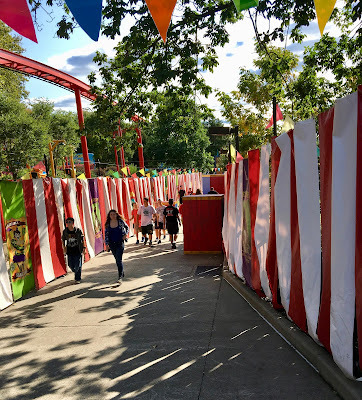 "While no final decisions have been made regarding what will replace the Log Jammer, Kennywood is committed to enhancing our guests' experiences while preserving our signature balance of modern thrills and traditional family favorites." The Log Jammer's removal will open up some space in the Eastern edge of the park, bordering picnic pavilions and the Racer roller coaster. There has been much speculation that Kennywood is working on creating a new roller coaster, but this development does not really jive with those plans that came out due to the planning approval process. So it seems that perhaps a new plan is being put into place. 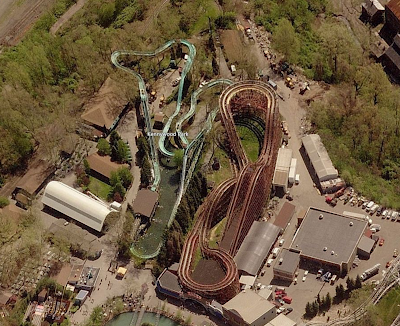 While we dream of the future for Kennywood, make sure to get your last rides in on Log Jammer, these old log flumes are a dying breed! According to a filing with the Federal Aviation Administration, or FAA, California's Great America is planning on building a 240 foot tall ride for what looks like a 2019 debut. The document, which is needed due to the park's proximity to an airport, is pretty clear and notes that the height waiver is needed because "a 240-foot tall ride structure would be proposed to be built in the theme park." The filing also notes that work on the project will extend from 9/2/2018 through 4/6/2019. Naturally, that leads me to believe this will be a major project for the park's 2019 season. Naturally the ride structure that is mentioned reaches its highest point of 240 feet above the ground, and the the coordinates for that spot are given. 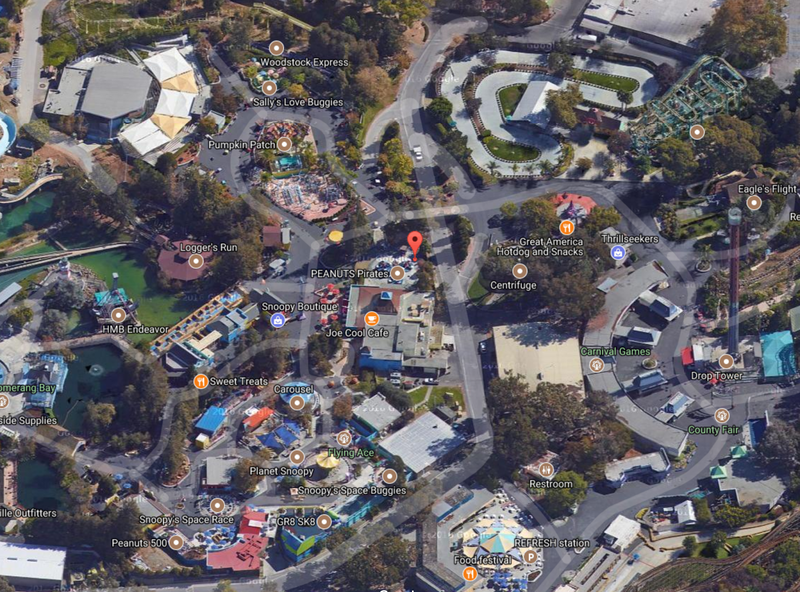 Plugging them into Google Maps shows that the tallest part of whatever the ride is will be right over the Peanuts Pirates ride, marked on the map above. If you recall the original expansion plans that the park presented to win their rezoning did include a 200 foot plus tall hyper coaster given as an example of what they would want to build. But, the same document also shows a super tall version of a StarFlyer, so it's hard to know what might be coming. It does seem a bit soon to build a massive coaster right after RailBlazer, but the park is prepped for some massive expansion similar to what we've seen Carowinds go through, so it's not out of the question. It's an exciting hint at the park's future, but before getting onto 2019 the park has 2018 to look forward to, which will see the opening of RailBlazer! 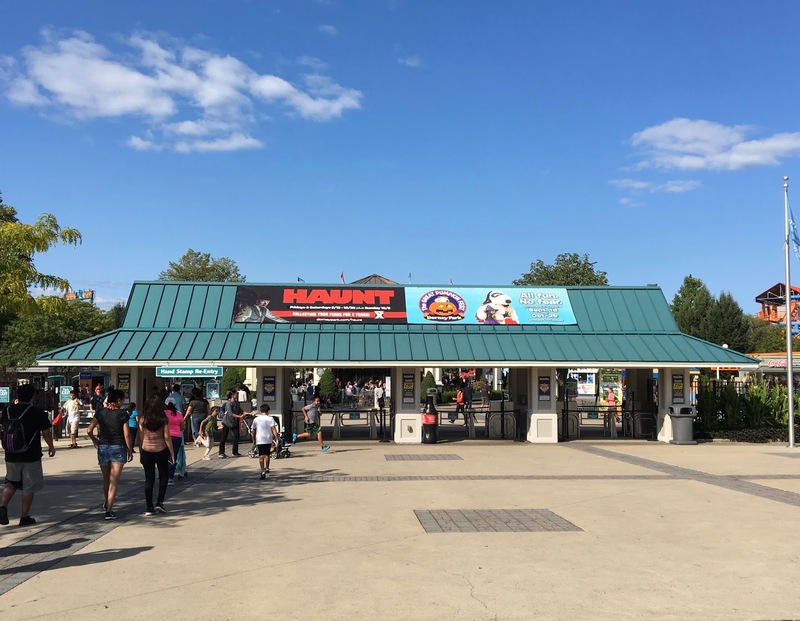 Haunt X at Dorney Park opens this Friday, September 15th! Hard to believe that the summer has gone by and we're already at Haunt season! Yesterday's beautiful weather made for a nice trip to see the park's final preparations for the event. The park looks about 99% ready for things to start in just four days. 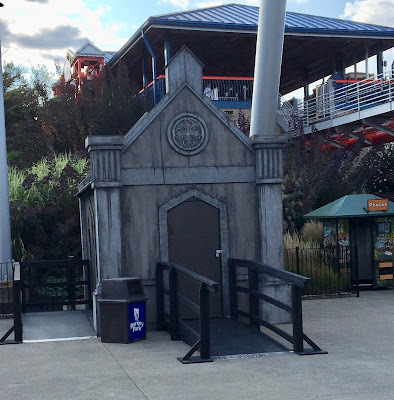 Age of Darkness, located on the park's lower midway just past Thunderhawk's entrance, is fully dressed and ready to go. 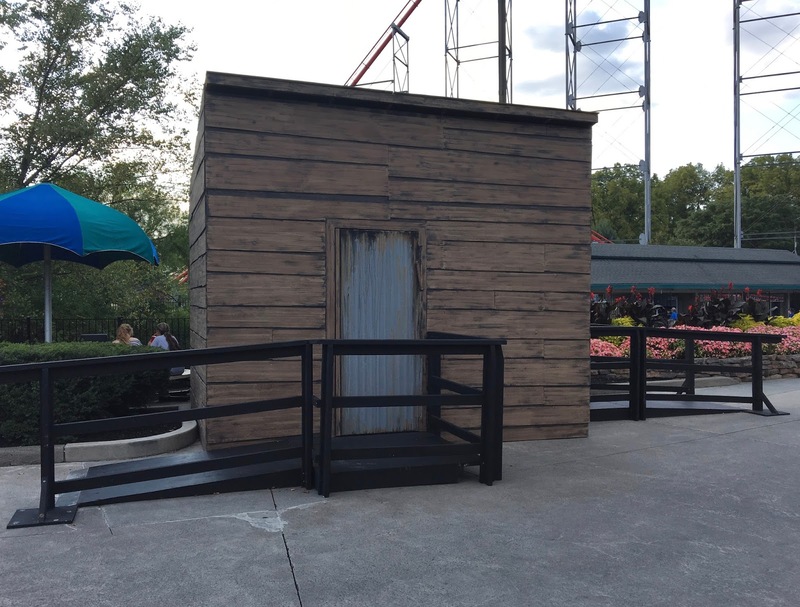 The scare zone includes the "torture chamber" add on area filled with an assortment of props and special effects. Seen above is one of the castle entrance/exits to that section of the attraction. Up on the Main Midway, the Funzone Arcade is currently closed as the instillation of Chamber of Horrors is underway. Earlier in the year the park tricked some of us fans into thinking that some sort of reincarnated Club Blood was going to arrive here, alas it seems the park was just celebrating some of their biggest and best haunts in honor of the event's 10th anniversary. The CarnEvil scare zone, located in Hydra's plaza, is also ready to go. 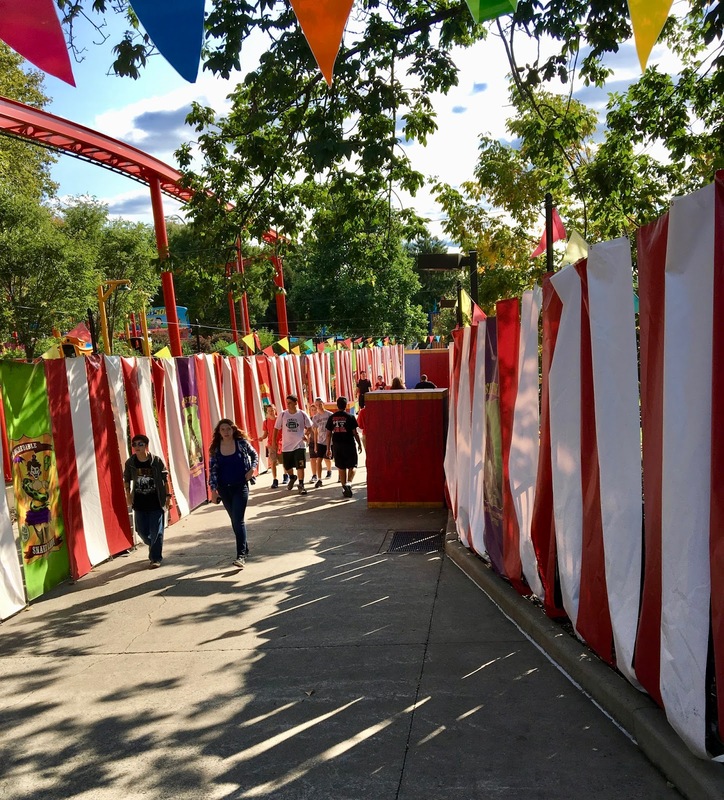 I love this corridor that is lined with carnival banners, lights, and plenty of oversized blocks obscuring the view. At night, when filled with fog, it leaves plenty of hiding places for clowns. Here is one of the many carnival themed graphics that are located along the corridor. Man Eating Chicken is a popular one (yes the chicken is eating a man), but I'm partial to Bee Man - Feel The Sting! 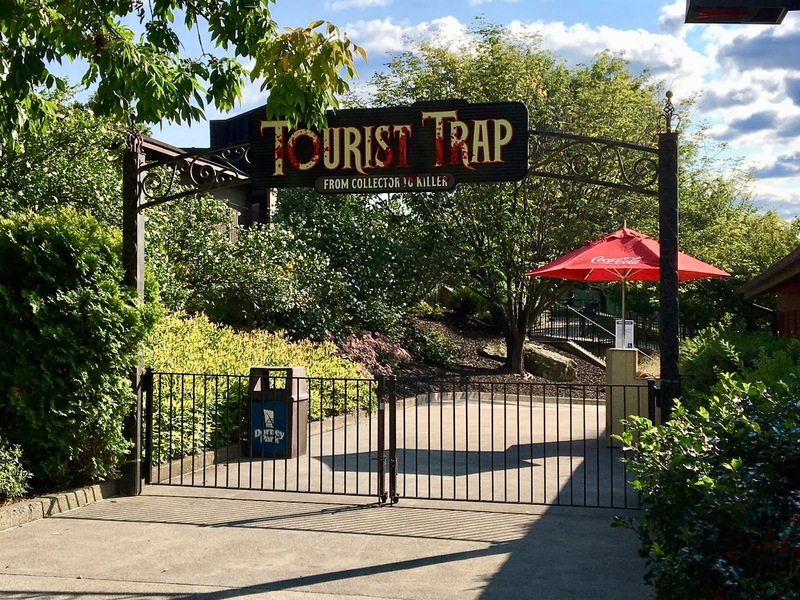 This year's new haunted house, Tourist Trap, has its signage up - like its predecessor Mansion House Hotel guests will enter and queue in the park's original catering area. The facade of Tourist Trap, which really serves as its exit, has received some additional graphics to build on the announced themed. The World's Fair is mentioned here, along with some other vendors that are located along the street they've set up. This haunt actually opened Sunday night for season pass holders as a preview - I wasn't able to attend but have heard very good things about the quality of what's waiting inside! Wondering around the park it is hard to miss some new structures that have appeared throughout the property. Here is one that is located near the exit to White Water Landing. I'm going to take a guess that these are Skeleton Key rooms that might be associated with the Haunt located near them. In this case Blood on the Bayou is located just around the corner. Here is a second one, located just down the path from Tourist Trap, and carrying a similar theme to that attraction's facade. This gothic crypt looking building is located, obviously, in front of Steel Force. That places it close to both Grave Walkers and Trick Or Treat. The latter was built with space for a Skeleton Key room inside it, so that fact plus the theme makes me thing this matches up with Grave Walkers. 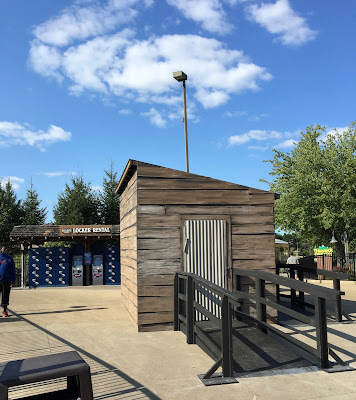 Finally, this little shack is standing across the midway from Center Stage Fries. That places it somewhat close to CornStalkers, and the theme seems to match as well. The park has 5 brand new Skeleton Key rooms this year, 7 in total, so I can't wait to see what takes place inside these buildings. One last shot of this year's billboard that's located at the park's exit along Hamilton Blvd. See you all this weekend for Haunt X! 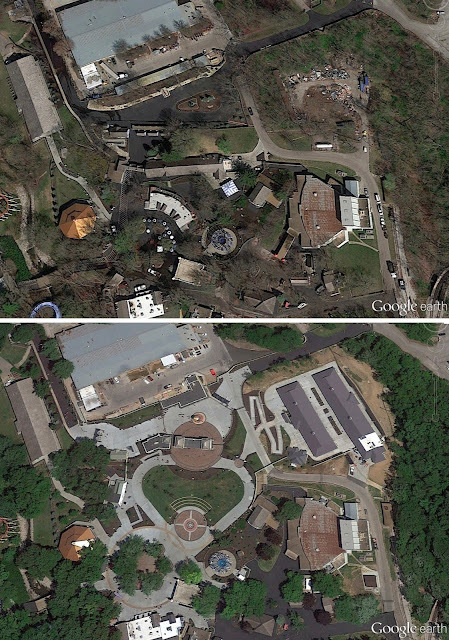 It has been quite a long time since I've done an Aerial Antics post, but I recently was buzzing around Google's aerial maps and noticed that some new-for-2017 attractions were already featured. To that end, I thought it would be neat to look at some before & afters of several projects. Worlds of Fun took on a massive new entrance project for 2017, along with adding two 'classic' flat rides. The new entrance project also included a large new catering facility as well. There's a lot to compare in these images, but you can see in the upper right that a former junk yard of sorts became the catering area. The main entrance received all new gates and different positioning, and the area beyond it is totally reimagined. Where there used to be a couple buildings there is now a large open space meant for gathering and able to be used for performances. Large walkways lead down a hill to it, then the rest of the area then blends into the existing park. Six Flags Discovery Kingdom added a brand new spinning pendulum ride, Wonder Woman Lasso of Truth. It can be seen added to the North of Superman Ultimate Flight. The ride is pretty shoehorned in, but still is able to swing out almost over the entrance to the park, and then opposite toward Superman's station. You'll also note that I used a bit older "before" aerial to include Roar's transformation into the RMC'd Joker coaster. 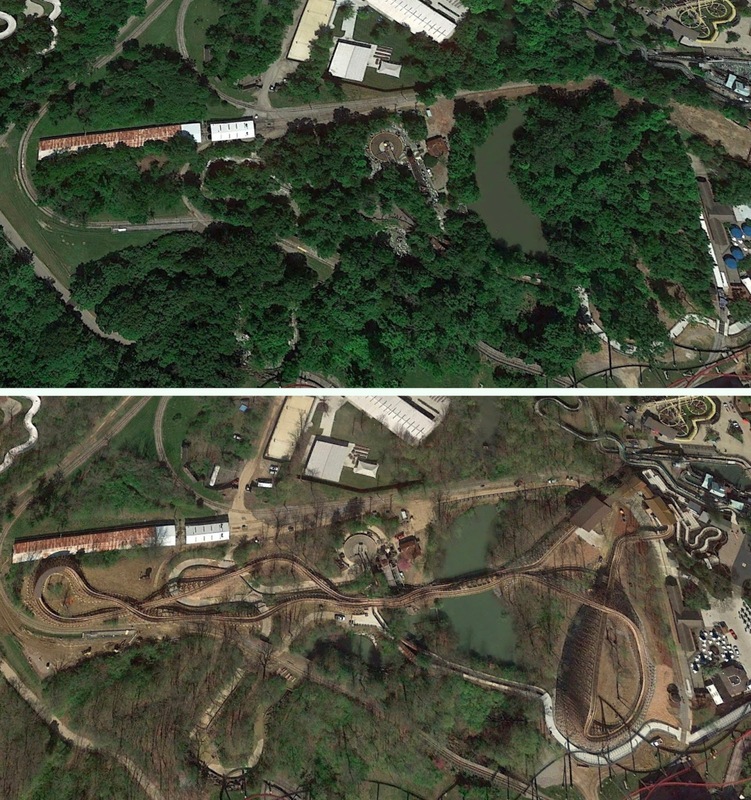 You can follow the layouts and see that while they are similar, there are some notable changes in the new steel track version of the ride. Kings Island added a large new coaster for 2017, the wooden ride named Mystic Timbers that was created by Great Coasters International. The ride stretches out over the park's river rapids ride, into a heavily wooded area. 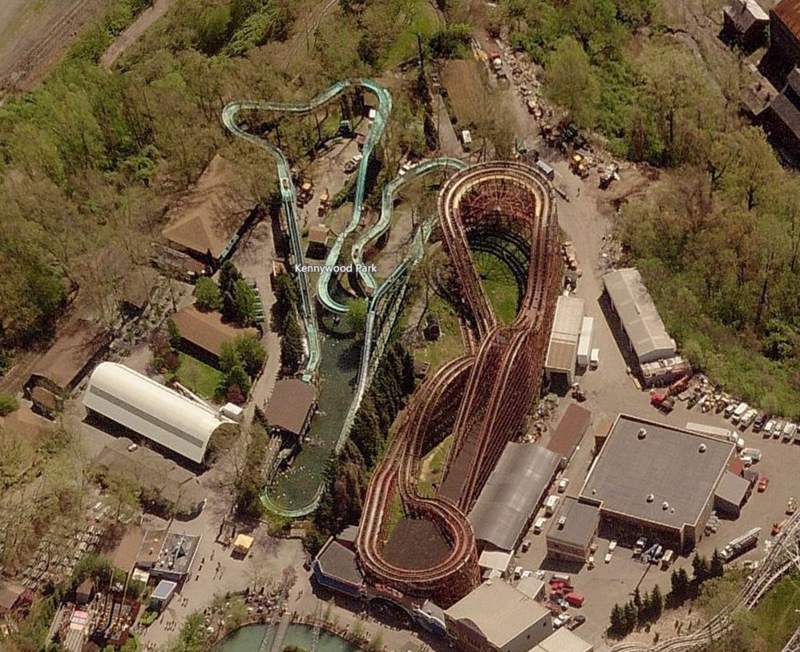 The park was able to keep many trees around the coaster when it was built; take notice that the 'after' photo here was in the spring when the trees did not have their leaves yet. If it had been taken in the summer much less of the ride would be visible. Finally, Six Flags Over Georgia redeveloped a section of the park to make room for the instillation of a Justice League themed dark ride. 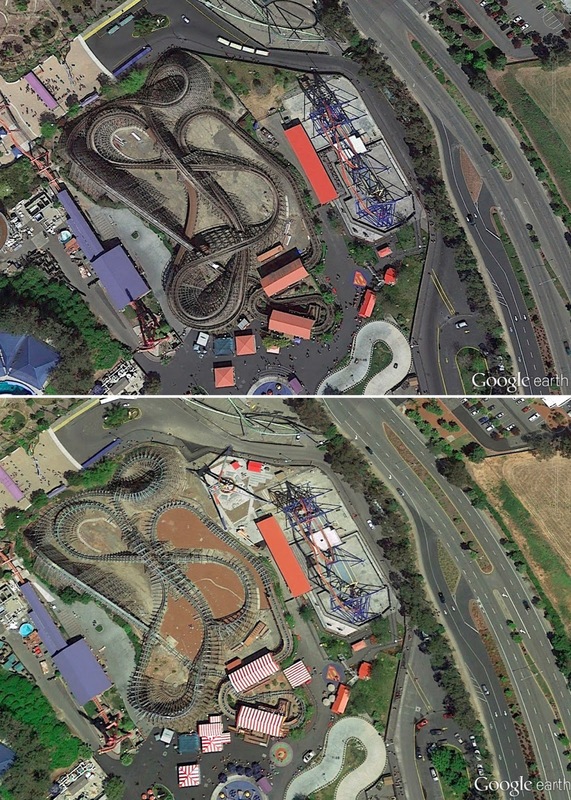 The park had to remove their bumper car building and change some of the adjacent game stands to get the building to fit. That allowed not only the building needed for the ride to fit, but also the large Justice League themed entrance plaza to be formed. You can see the decorative pavement for that area in the after photo very clearly.